This photograph shows an interior view of Otto Kienes Drug Store located on the west side of Kansas Avenue south of 8th Street in Topeka, Kansas. 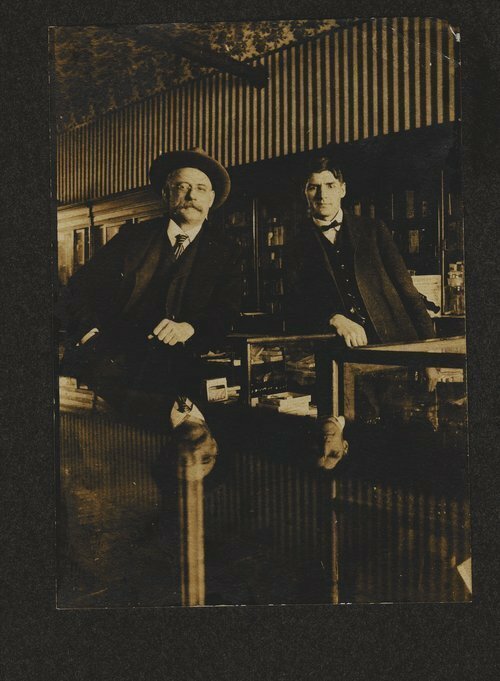 Two unidentified men are visible in the picture leaning on the top of a display case. There are shelves visible against the wall in the background. The lower part of the picture shows some kind of reflection of the men.